I don't know if there's an official ranking floating out there on the internet, but I'm willing to stake my limited reputation on calling Shani Darden LA's favorite facialist. For one thing, she's actually based there. (None of this bi-coastal, only in town during awards season nonsense.) For another, her client list is packed with the exact crew you'd want to hang out with if you happened to be in town: Emily Ratajkowski, Jen Atkin, Rosie Huntington-Whiteley, Jessica Alba, Chrissy Teigen... The cool, down-to-earth girls, who just happen to have the faces of celestially gifted angels. Are you using retinol? You should be using retinol. "I’ve seen women in their 60s who barely have a wrinkle because they’ve been using retinol forever," Shani told us. She pays homage, of course, to Retin-A and the like, but proposes a slower, gentler approach to the anti-acne, anti-wrinkle miracle ingredient. First of all, "you have to use it gradually. You should use it once a week for a while and then add it in slowly. You don’t want to just jump in and using it every day." Secondly, if you don't have a formula you already like, she made one for you. It's called Retinol Reform and it's a like gel that works under any skincare routine. "It helps with both acne and aging by boosting collagen. And if you don’t suffer from either it works preventatively." Yes, those LED lights work. Have you seen the commercials for that Neutrogena Acne Light Therapy Mask? Shani doesn't use that one (she's got the professional grade stuff), but she says the general philosophy works. "If I'm known for anything, it's probably LED therapy," she said, after mentioning that she had just ordered a full bed of lights clients can lay on. "There are different lights that can help with different things," she explained. 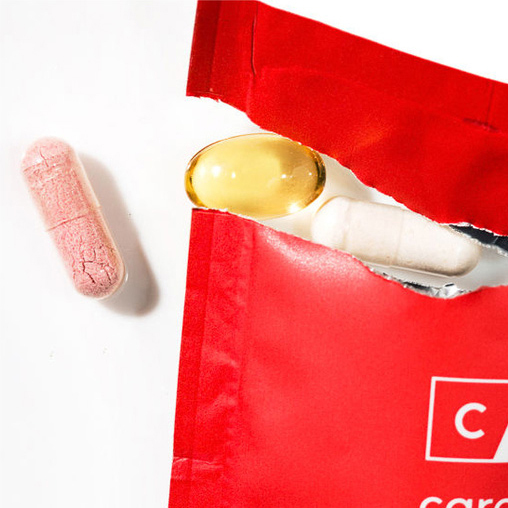 "Red can boost collagen and refine wrinkles. Blue kills bacteria for acne. Using them combined makes a really big difference." As for product recommendations, she says "the Deesse is pretty amazing. A lot of my clients have that one. If you’re spending all that money for a facial and you can use that, it’ll make a difference." Yes, microcurrent devices also work. If you've ever browsed the NuFace or Ziip devices, consider them Shani-encouraged. In fact, she's even partnered with NuFace on a little kit that'll get you started at home. In her words: "I love microcurrent. I think it’s the greatest thing. The handheld works really well—if you use it. I do under my eyes and around my mouth every morning to tighten and train the muscles the more you do it. But you have to commit to it. A lot of people buy them and they just leave them in the drawer. That won't help you." If you have melasma, lasers can help. "I have a bit of melasma but I go to Dr. Orion and he lasers it off. It’s a constant thing and it's very common—it's what they call the mask of pregnancy. I went to someone years ago to have it removed and they only made it worse, so you have to go to someone who is great with lasers, particularly if you have any color in your skin. The thing about melasma, which people don’t realize, is that it’s caused and made worse by heat. If you go do hot yoga everyday, it’ll be back in two days." A well-rounded skincare routine can be affordable. So let's say you can't find time in your busy schedule to fly to LA regularly and stop by Shani's office. That's fine! Here are the essentials, according to Shani: "Always cleanse your skin. Always use sunscreen. In my opinion, always wear retinol. Of course you have to be careful of sun and retinol because it can make you sensitive to the sun. But those are the big three." Shani Darden photographed by Tom Newton at her office in Los Angeles. 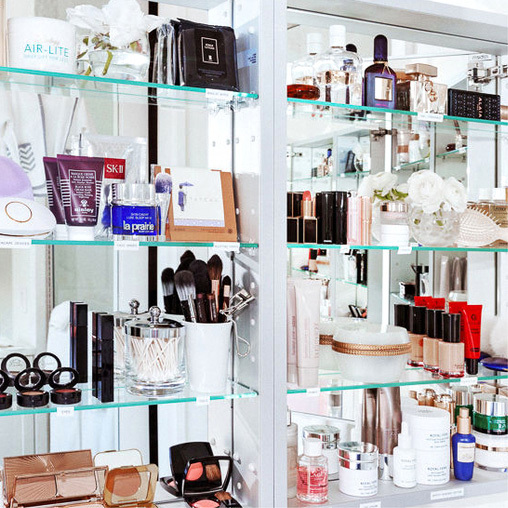 And on the East coast: Jenna Lyons' facialist Aida Bicaj shares her top skin takeaways.